Getting 'Your Apple ID Is Due To Expire Today' Texts? It's a Scam! 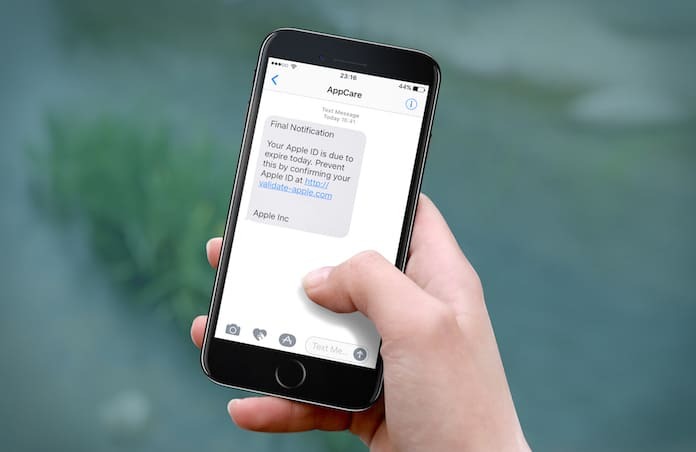 Many iPhone users have been a victim of scam texts reading “your apple id is due to expire today” which led them to lose their vulnerable data. To protect being scammed in the future and protect the data on your phone, read the tutorial here. Although there are many ways to lose data through human errors- phishing scams are the easiest ways for hackers to retrieve your personal information while being paid for it as well. Last April 2016 saw several complaints from Apple users of receiving messages from “Apple Inc.” to confirm their ID as it’s about to expire. According to the latest grapevine, the messages are doing the rounds again and just like any user we are sure you wouldn’t want to fall in the trap. Right! Read on to find out how you can stay safe from online scams. 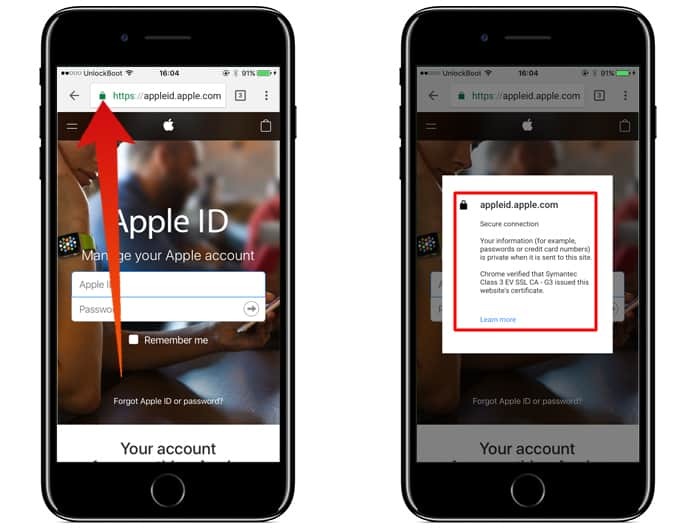 The phishing message can be seen with the words “iPhone ID” or “Apple ID”. Both are suspicious and should be treated with the same protective behavior that is described in this guide. Should I Click the Link? 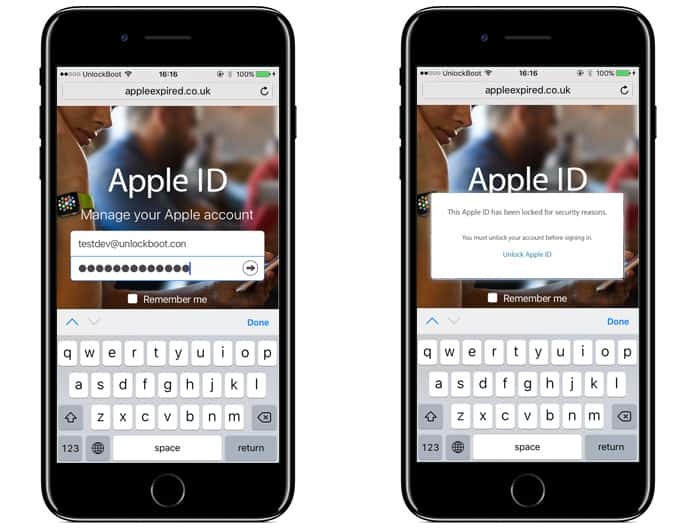 The messages sent to iPhone users have the same instructions – that is to click the link to renew the Apple ID. However, those who observe messages critically will notice that the links are usually in different forms such as validate-apple.com, supportapple.com, appleexpired.co.uk, appleidlogin.co.uk, icloudverify.uk, icloudmobile.co.uk, etc. None of them are owned and/or operated by the Apple Company as the actual Apple ID is https://appleid.apple.com and whenever the need to change your ID information occurs, it is best to go to the above official site for detailed instructions. 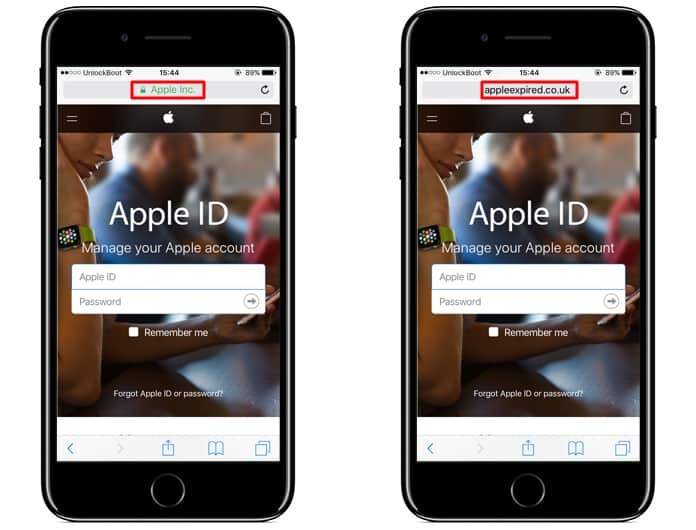 You can also make sure that the website you are visiting is official by looking for the Apple signed SSL certificate by the address bar. Most leading browsers will provide you with the information about the secured connection to the site you are using including Google Chrome, Safari, and Firefox. What Will Happen if I Click on the Link? Most often clicking on the link won’t result in viruses or stolen information. However, you can’t be sure of the shady websites and I’m sure you wouldn’t want to compromise your security at any cost. This is why we highly recommend that you don’t click on any link which you are unsure of even if they are referred by friends and family members. If an acquaintance clicks on the phishing link, the details are automatically shared to all the contacts in their address book. Or if you enter your Apple ID email and password, they can be abused by the owners of the phishing website. If you also receive a dubious link from a contact, always enquire about it. You never know, your investigation skill might help both of you from a hacking attempt. The good news is that web browsers along with anti-virus companies are taking every preventive measure possible to take down such phishing scams and protect the vulnerable data of their users. But if you ever come across such links in the future, make sure not to click on them and avoid sharing personal details with unknown websites.